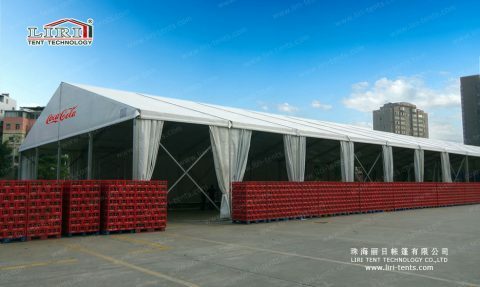 Liri Tent provides temporary warehouse tents for the Coca-Cola Company and solves their storage needs in both peak and slack season. In China, almost 90% of companies are facing problems of inventory imbalance. 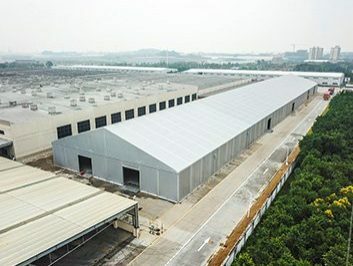 Many companies are afflicted with storage capacity adjustment. 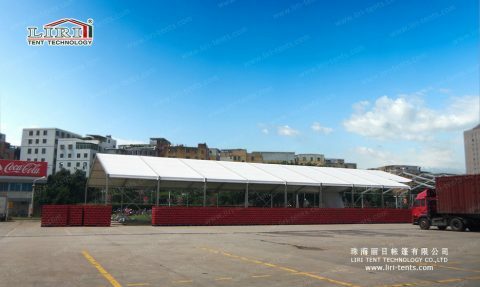 In terms of dealing with the storage capacity adjustment problem, the traditional steel structure, reinforced concrete structures warehouse seem quite helpless, until the emergence of temporary warehouse tents, brings the gospel and solution for many enterprises. Modular design, unlimited length, customizable according to customers’ requirement. Short construction and installation time, can be assembled and disassembled repeatedly, light and easy for transportation. 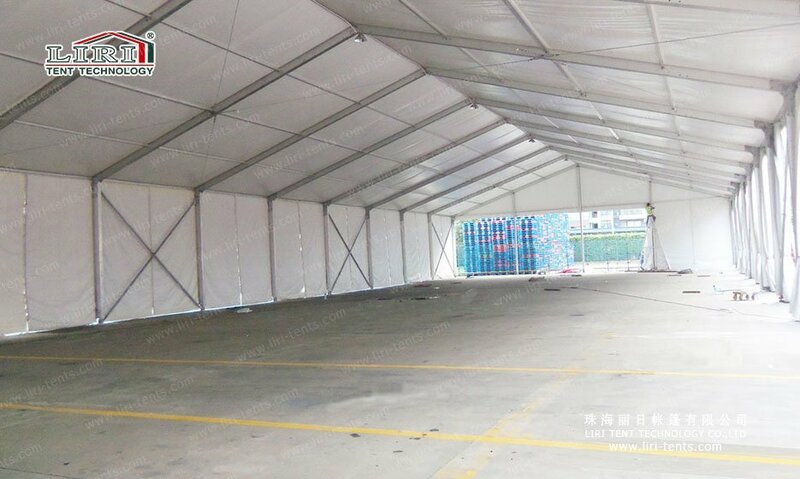 Short construction and installation time, can be assembled and disassembled repeatedly, light and easy for transportation. Advanced design, easy for container trucks, forklifts to go in and our. 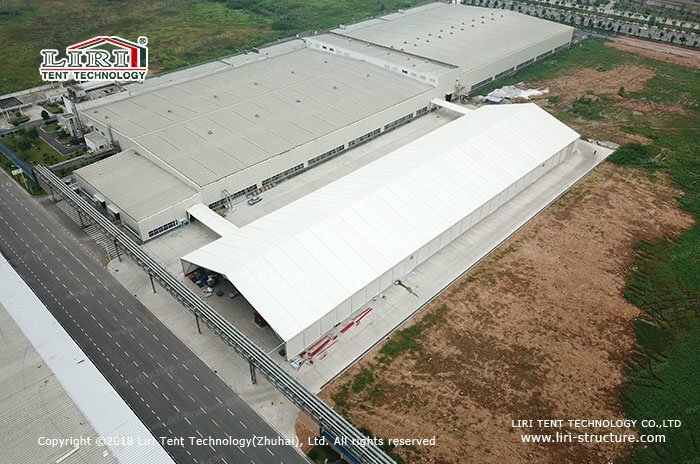 Advanced design, easy for container trucks, forklifts to go in and our. 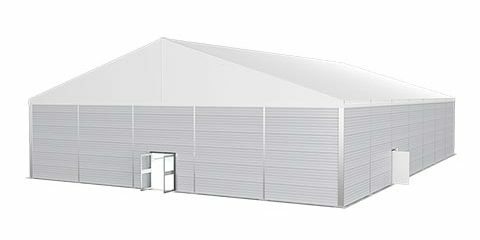 Full supporting facilities, equipped with lighting, illumination, drainage, anti-thunder and anti-collision systems. 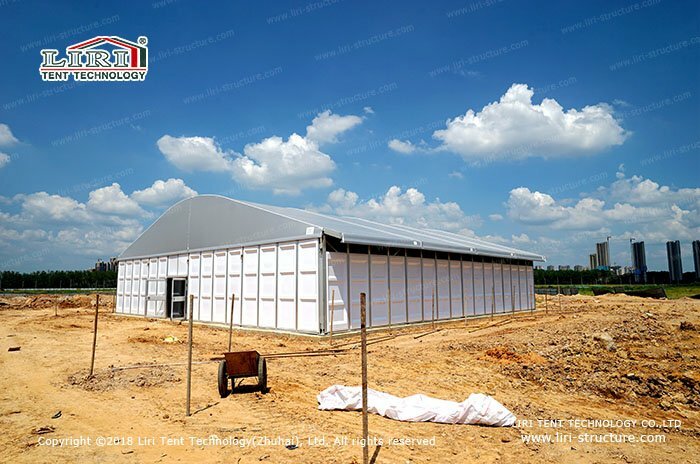 Multifunctional, can be used as a temporary warehouse, temporary workshop, temporary plant, temporary office and so on. 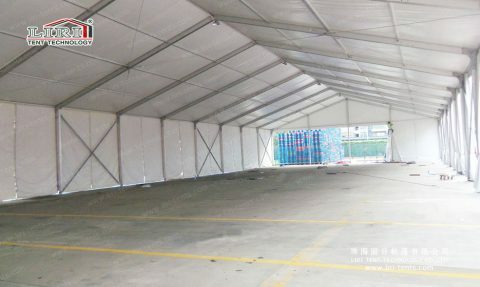 Multifunctional, can be used as a temporary warehouse, temporary workshop, temporary plant, temporary office and so on. 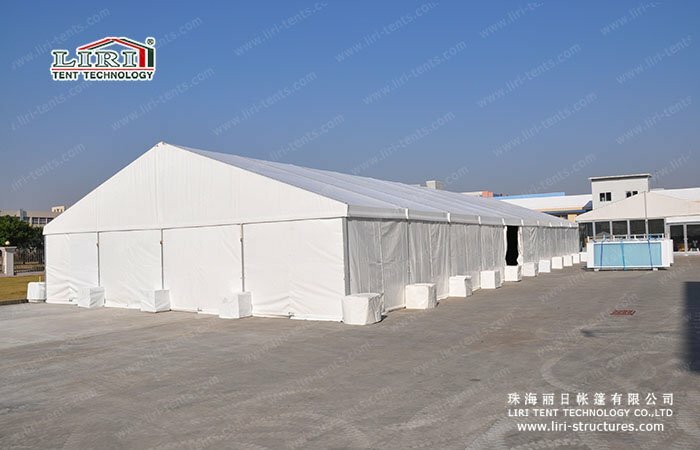 Temporary warehouse tents are widely used in manufacture and warehousing industry. And being aesthetic, economical and flexible, temporary warehouse tent will meet your increasing need for quality and quantity of production and warehousing. 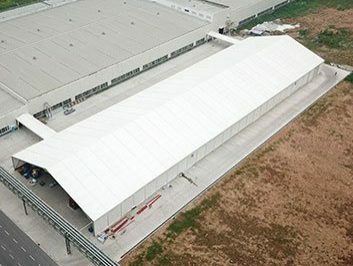 You can custom modular aluminum structure of your project. 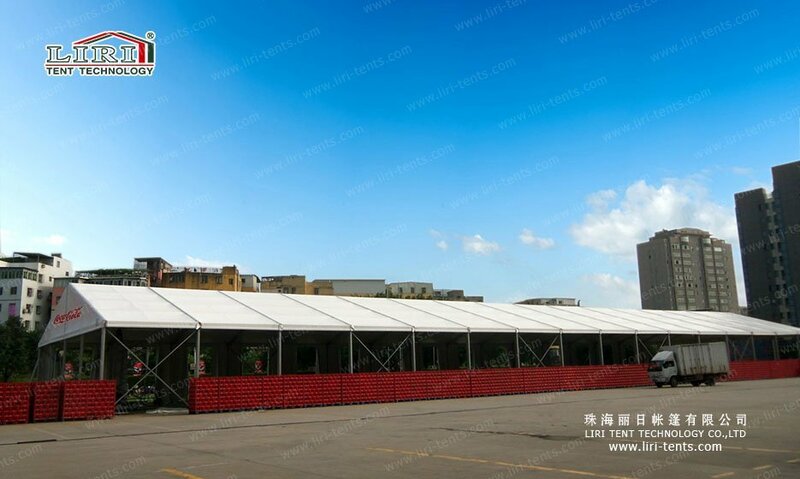 Warehouse tent can disassemble quickly and conveniently. 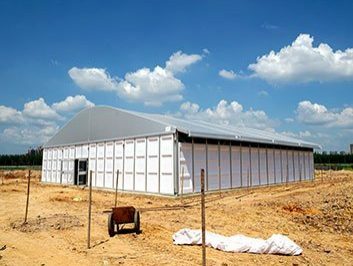 Whether you choose a long-term lease or a direct purchase, warehouse tent, a cost-effective and flexible solution, can satisfy your growing needs of production and warehouse space.